I am District Commissioner for a district in scouts (I actually manage 31 groups). Each time any section (cubs, beavers, scouts etc.) goes out of their designated home (scout hut), they are supposed to inform their DC (that’s me) so that if anything happens, I know where to find them. Pennine District Scouts are an organization of over 1,000 young people experiencing fun and adventure every week in the 21 groups that make up the Pennine Scout District in the UK. 400 adult volunteers bring a wealth of scouting experience and dedication to the groups. With their help, the Pennine District Scouts are able to provide a varied programme of activities and achieve the development potential in the young people involved. 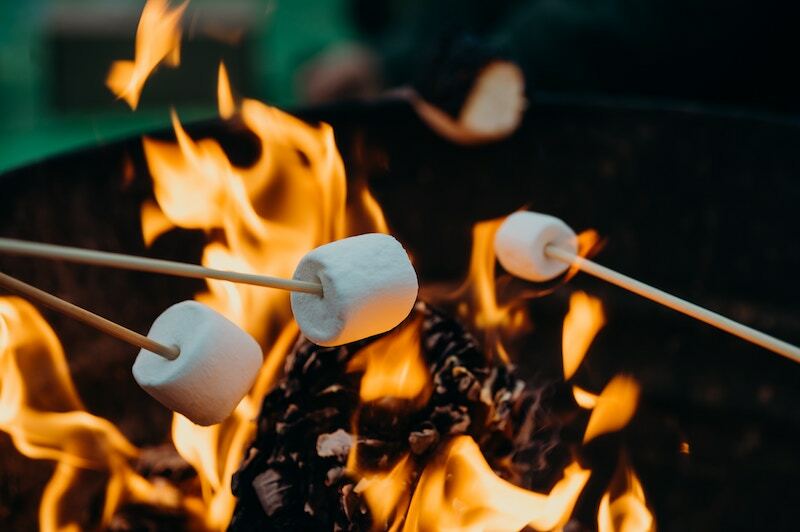 The Pennine Scouts have their own Scout Camp Site, Ashworth Valley, which is situated and set in 48 acres of beautiful countryside with many activities for all ages. When managing a group of groups, traditional calendar services fall short. Many inputs, with no ability to sort, filter, or manage which inputs you see, creates a chaotic calendar. It quickly becomes too overwhelming to be useful. Likewise, many calendar users–without permissions and settings that safeguard calendar data–can result in information loss and security issues. However, if group leaders can’t use a calendar to input their schedules and communicate with each other, and their group manager, then they have use other methods. Everyone ends up back in emails and messaging apps, or making multiple phone calls. A neglected voicemail or overlooked email can mean that pertinent information is missed. In the past, it’s meant emails or phone calls etc. So, I introduced a district calendar where each group has their own writable sub-calendar but has read access to all the others. Now, every time they plan to go out, they update their calendar and I get sent a notification. Not only is this easier for them, they can put data in well ahead of time and can also add contact details for all to see. Plus we can now, as a district, see what is going on across the district and can therefore join in on more activities. 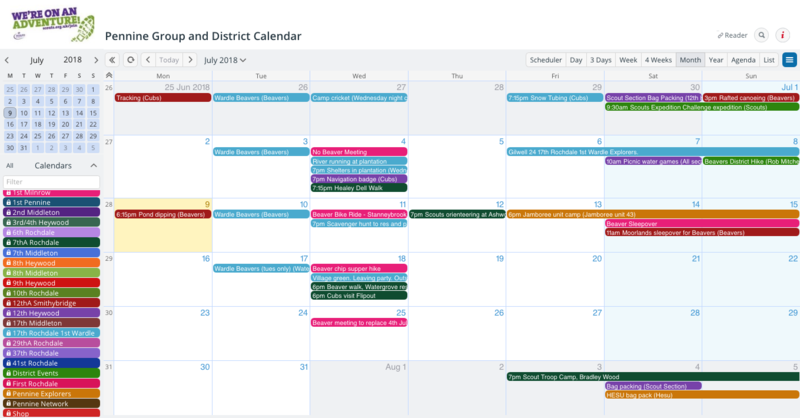 The Pennine Scout’s District Calendar shows planned activities for all groups in the district. With Teamup, Alan is able to ensure that the Pennine Scouts stay organized, connected, and safe. But he doesn’t have to manage multiple emails or phone calls to do so. More autonomy: Each group can input their own schedule and activity plans, without the need to send in all the information and have someone else distribute it or add it to a calendar. More shared activities: With read-only permissions for all the group calendars, groups can see opportunities to join in other activities and events. A shared calendar encourages more collaboration among groups, as everyone has a central place to show plans and communicate. Easier communication: By subscribing to Teamup’s notifications, anyone can receive notifications of calendar changes or new events being added to the calendar. Easier event updates: Since each group can add or modify events on their own sub-calendar, they can update information if needed: if the weather prevents a planned activities, for example, or if the time, date, location, or other details change. Thanks to Alan and the Pennine Scouts for sharing your story! Header photo by Leon Contreras on Unsplash.